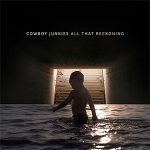 Cowboy Junkies released their latest album, All That Reckoning, this past Friday and the new release has been well received by reviewers in the press and online with The Times describing it as “their most vital album in years” in their 4-star review. You can read the review highlights below as well as watch the newly released video for ‘Sing Me A Song’. The ‘Junkies will be playing three dates in the UK this coming November at the Mitchell Theatre in Glasgow, Royal Northern College of Music in Manchester and The Bridge Theatre in London.